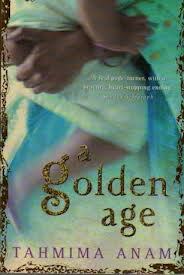 Having loved Anam’s second book, ‘The Good Muslim’, I was on the lookout for her first book – ‘The Golden Age’. Although The Good Muslim was a sequel, I had no trouble following the story line, and I hoped that The Golden Age wouldn’t be rendered redundant by the fact that I had already read the sequel. I needn’t have worried. It is East Pakistan in 1971. Rehana Haque has just about started to breathe easy. Her two children, Sohail and Maya, who she struggled to keep with her and bring up, after she was widowed, have grown up and are in university. She now feels secure and comfortable, she has kept her children safe. The country is in the brink of a civil war. East Pakistan is fighting for independence and her children, she realizes, are right in the middle of it all. Not for them, the everyday worries of safety and security. Her sense of security vanishes overnight. The life that she carefully tried to preserve, carefully nurtured, is all in pieces. Political upheavals seem to be mirrored in personal upheavals. Things which they took for granted are suddenly questioned. While the sequel was largely about Maya and Sohail. The Golden Age, I would say, is mainly about Rehana. It is her story. Her struggles, her choices, and her life. Even when her choices seem wrong, it is difficult to judge her because her circumstances seem so tough on her. The ties that bind a mother to her children, and the extents to which people are forced to go because of their circumstances. 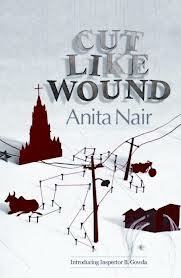 Rehana finds herself part of a war, an upheaval that she wanted no part of, but is powerless to do anything about it. I particularly liked the way the author has woven political incidents and upheavals into the story. Rehana’s life in East Pakistan before it became Bangladesh is a window to life in East Pakistan and the way it all changed. Hindus who considered it their homeland, suddenly realized that they had to run for their lives. When suddenly everybody has to choose sides, and hope that they have chosen the right side. While the older generation struggles with the choices, the younger generation is the one with the spirit to fight for what they consider their right. I can’t imagine what it must be to live through a war like this, but can only guess, that despite the tremendous losses, what they gained must be so very precious. A tale of love, heart-break, strife and hope. A wonderful book. A book which I would recommend to everybody who likes books set in political situations and history. I especially love books of this sort, as it gives me an insight to how everyday life gets changed irrevocably by political decisions and political situations. I love retelling of our epics(actually I love reading tales from the epics), so when these books came up for review, I placed a request. And was lucky enough to get selected. 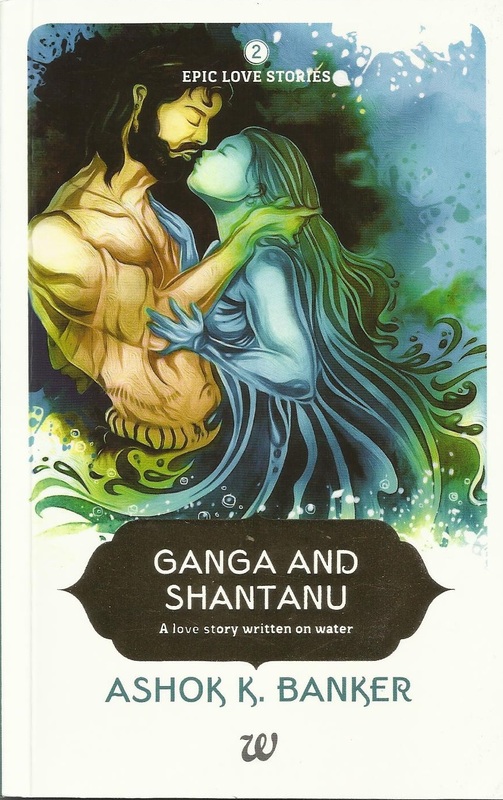 Two of the series of five arrived in the post – Ganga and Shantanu, and Satyavati and Shantanu. King Mahabhisha, a renowned, and devoted king, enters the heavenly realms due to his devotion and righteous path. One day, all the rajarishis, went to pay homage to Lord Brahma, when King Mahabhisha gets carried away by the sight of Ganga( River Ganga) and ends up being cursed to spend a lifetime as a human. Around the same time, eight Vasus got a similar punishment for a different crime. Seven of them of them had the lesser punishment of living a year as humans while one of them, had to live a whole lifetime. The Vasus persuade Ganga to be the person whose womb they are born from. For doing that Ganga has to become Shantanu’s wife, who is none other than King Mahabhisha. Of course, Ganga has other reasons to agree to the Vasus’ request. Ganga and Shantanu meet(arranged cleverly by Ganga),fall madly in love, get married and lived happily together, until the vows that Ganga had extracted out of Shantanu as her condition to get married, come into effect. Conditions that break Shantanu’s heart, but there is nothing he can do, without breaking his promise. And nothing Ganga can do to avoid hurting him. She cannot even explain her actions, as those are the rules. She has to see her love hurt, again and again and do nothing about it. Torn between their word and their love, both Ganga and Shantanu lead a torn existence. Finally she leaves him,as was ordained, leaving behind a son for him, a son who would go on to make history. The story takes off where Ganga and Shantanu leaves us. Shantanu is happy to have his son, Devavrata, with him. Devavrata, is now a fine young man. Ganga had done a wonderful job with him, he is wise, fair and capable. The kingdom is delighted with their young prince. Despite having his son with him, Shantanu is still pining away for Ganga. Even the people of his land had started to worry about the state of their king. In this state, Shantanu meets Satyavati a fisherman’s daughter, and falls in love with her. He just knows that this is the woman for him, the person who give him the happiness Ganga couldn’t give him, the joys of living together forever. Excited, he goes to Satyavati’s father to ask her for her hand, when he is dealt a blow which he could never have imagined. Shantanu feels cheated by fate and is dispirited and sad, when his son Devavrata, takes things into his hands and makes the ultimate sacrifice for his father’s happiness. 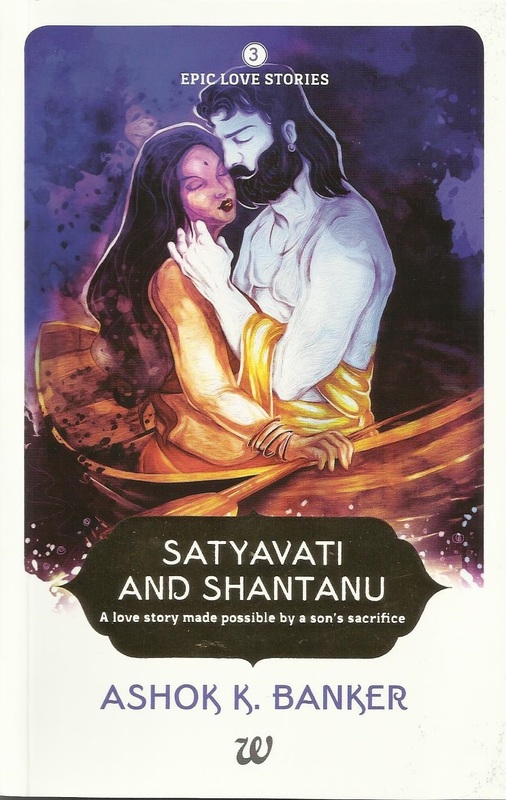 An unthinkable sacrifice, the sacrifice which made Shantanu and Satyavati’s love possible. Both of them are stories from Hindu Mythology, retold by the author, with the focus on the love story. I did wish he made it more than just physical attraction, which was how it came across to me. I wish the author had used some of his literary license and added some emotions beyond ‘love at first sight’, some interpretation which would have added to the story, but that’s just me, asking for more! The books were very quick reads. 80 pages or so long, and very easy and quick to read. The books were fun to read, but probably not something I would buy and read. The name caught my attention. Having loved Malladi’s A Breadth of Fresh Air, I was tempted to give this a try. Priya Rao had left India 7 years ago as a twenty year old student. For seven years she avoided coming back, and managed to flout most of the strict rules that her mother had handed out, most important of them all – not to marry a foreigner. Well, she’s not married him yet, but she’s engaged to him. And the biggest challenge she faces this holiday is to tell her parents all about Nick, the man in her life. Returning back to India, Priya realizes that while she has changed a lot over the last few years,things seem to have remained same back home in India. Things she grew up with, suddenly felt alien and strange, although her family, her really extended family seemed to be just the same. The same values, the same power struggles and conflicts, the same beliefs, some of which included very narrow view of Westerners. All of which, of course seems even worse now, now that Priya wants to marry one. How on earth is she supposed to tell them that, when the whole family seems more interested in getting her married to a nice Indian boy? They seem to be ready to do anything to get her married off to a nice Indian Boy. While her family arranges bride-seeing ceremonies, Priya is at a loss. She feels torn and a traitor to both her family and Nick. She knows she will have to choose between her love and her family, and it’s no easy choice, even though her family gets so annoying at times, even though Nick is just perfect for her. Both are equally part of her. To have to choose is so brutal. 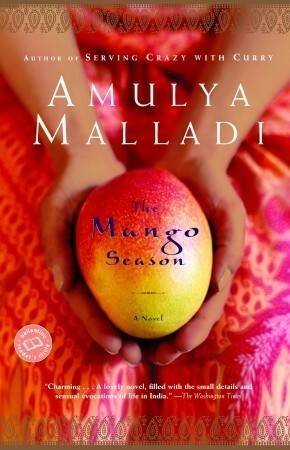 I particularly enjoyed the descriptions of the mango season, the way life in India in the hot, sultry summer was depicted. I could almost feel the sweat, taste the tangy mango pickle that was made, hear the bargains that Priya’s mother stuck up.. and Priya’s embarrassment. It was just great! I love these sort of books, which totally take you to the place they are set. Priya’s dilemma felt real as well. Especially given the family that she came from. Although the story could have been predictable, the manner in which it unfolds is quite nice. And there is a nice little twist at the very end. A quick, fun read, one that will keep you entertained and asking for more. The ending was a wee bit abrupt, but never mind, I still liked the book, over all.